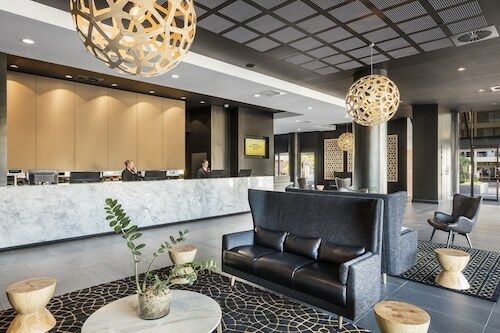 Situated near the airport, this hotel is within 3 mi (5 km) of Doomben Racecourse, Portside Wharf, and Brisbane Cruise Terminal. Eagle Farm Racecourse and DFO Brisbane are also within 2 mi (3 km). 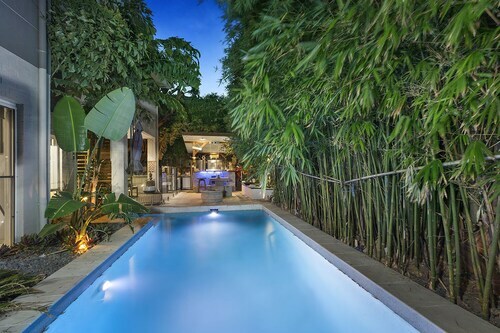 Situated near the airport, this vacation home is within 2 mi (3 km) of Doomben Racecourse, Portside Wharf, and Brisbane Cruise Terminal. Eagle Farm Racecourse and DFO Brisbane are also within 2 mi (3 km). Brisbane Doomben Station is 20 minutes by foot and Brisbane Hendra Station is 20 minutes. 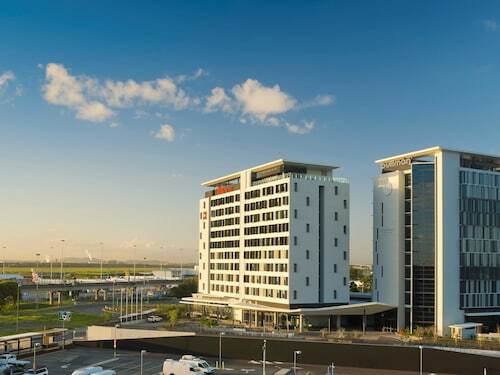 Situated in Brisbane Airport, this hotel is within 6 mi (10 km) of DFO Brisbane, Portside Wharf, and Doomben Racecourse. Eagle Farm Racecourse and Holt Street Wharf are also within 6 mi (10 km). Airport Domestic Station is 5 minutes by foot and Brisbane International Terminal Station is 26 minutes. 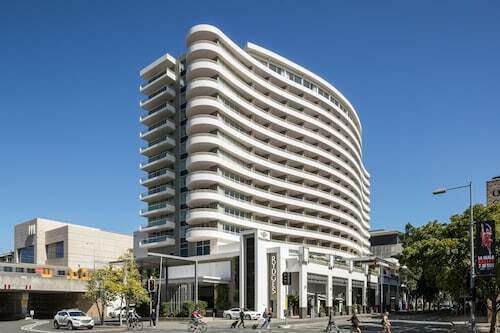 A 10-minute walk from the Central Business District, this hotel is next to the Brisbane Convention Centre and across from the South Bank Parklands. The Queensland Performing Arts Centre is 0.3 km away. When you're on the road exploring the state of Queensland, visit its capital, Brisbane. 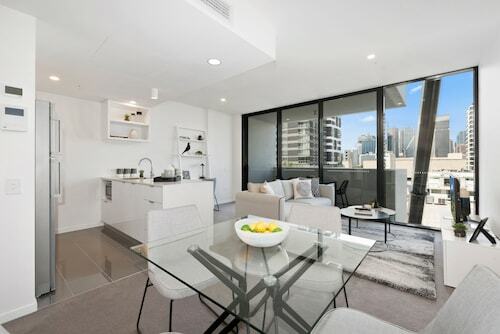 Situated 7 kilometres northeast of the CBD, you can reach the neighbourhood of Hendra. Are you coming to Brisbane? You'll love seeing the sights, including the Queen Street Mall, the Brisbane Convention and Exhibition Centre and Roma Street Parkland. The statuesque purebred horses jostling to be first past the post at Doomben Racecourse will leave you amazed by their stamina and brute strength. The Brisbane Riverview Hotel and Novotel Brisbane Airport are great if you'd like to sleep close by. Eat Street Markets is a vibrant venue to haggle for a discount or simply absorb the activity. The Domain Serviced Apartments and Pegasus Motor Inn and Serviced Apartments are your leading options for this attraction. Not much of a morning person? Don't worry, you'll find a mix of excellent cafes in Hendra. A steaming hot coffee and cake at Dandelion and Driftwood is an ideal way to get yourself going. If a snack simply isn't going to cut it, go and check out the impressive menu at Airport International Motel Brisbane. Everyone will find something to their liking at this well-patronised diner. Your evening could be ending or just getting warmed up. Either way, a few beers at Grill'd Ascot couldn't hurt. Are you having trouble securing the ideal Hendra hotel package? It is worth considering the hotel options in the Clayfield hotels guide and the Wotif Ascot hotels guide. Wotif can whisk you to Brisbane and thousands of other incredible places, so stop daydreaming and start booking today! How Much is a Hotel Room in Hendra? Hotels in Hendra start at AU$89 per night. Prices and availability subject to change. Additional terms may apply. Fantastic location, close walking distance to everything. Great amenities and the level 5 outdoor living area was absolutely amazing with everything you could possibly ever need from pool, spa, gym & yoga room, teppynaki bar, full indoor kitchen/dining area, pool room, outdoor cinema, BBQ's, pizza oven and an abundance of outdoor seating areas and lounges. Apartments themselves were very modern, clean and well maintained with great views. Highly recommended!! !